Residentia­l Re Roof Specialist­s. Licensed Building Practition­er. 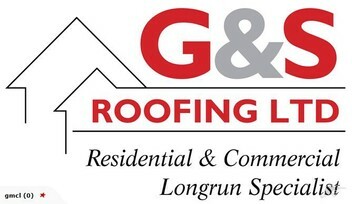 Members of the Roofing Associatio­n. Free Quotes and Advice. Friendly team of competent installati­on specialist­s. Workmenship and product warranties supplied. Great service from Gary - prompt communication, good honest service and a reasonable price. Would definitely use him again! Jon was a pleasure to deal with. He was prompt in scheduling a visit to quote, very reasonable with the quote and adding value by providing information on all roofing elements, scheduling and completing the work. I was successfully able to ensure out roof was repaired from across the ditch. The final summary of the completed job with photos was exactly what I needed. I would happily recommend and use this team of professionals again. Thanks Jon and Gary. Excellent service & workmanship. Quote within 2 days of phone call, job started following week, & completed within 4 days. Cleaned up after each days work. Highly recommended! Excellent and prompt service. Gary rang me several times to update me as to progress and provide options throughout the repair. Highly recommended. After initial contact, never heard from again. No replies to messages. Caused a delay but we got someone from the Yellow Pages. Hopefully he will get sorted. Great team of workers, very professional, completed job on time, very pleased with their work, would definately used them again if needed. Highly recommended.